If you’re a young entrepreneur who seeks funding for your Startup you probably should attend conferences, event, and shows where you can make connections and, maybe, find an investor. But, to be honest, events and conferences offer Startups and Entrepreneurs an amazing platform to turbocharge their businesses not only by getting money. At the beginning the resources are limited and events provide three key resources at once: people, knowledge, and capital. Events help enhance your brand and build your audience by meeting client on p2p base. Events allow you to meet people and connect with them so later on, you can sell your proposition and turn them to partners. Planning events for startups is just like planning events for anyone else. The inherent challenge comes with financial limitations. Startups are tight in the budget that’s why they like to get stuff done by themselves. Nevertheless, having no experience in events planning doesn’t mean you will fail. Just make sure to follow these tips and start preparation in advance. After all, you should start on something. Don’t expect that tech event will bring you new clients. Most of the conference attendees are entrepreneurs, developers, sales managers, headhunters, products owners, and journalists. The investors account for less than 10% of the audience. That’s why you should start looking for prospects, investors, and clients in advance. Look for super-connectors. Those people typically organize side-events and closed meetups. They will get you to backstage, where true business talks are going. Make a list of key people you want to meet during the event. Connect with them online. Write few personal follow-ups and schedule a meeting at the conference. Don’t be discouraged if they don’t confirm the meeting immediately. Usually, such people will get back to you 1 week before the event. You really need to figure out why you want to attend the event. If you want to find an investor you should build a connection with them months before the event and scheduled the meeting at certain day during the conference. On the other hand, if you want to build an audience, you probably should register as a speaker, prepare a presentation, or host a workshop. Events are all about networking, new connections, and meetings. If you’re going for clients and investors don’t waste your time for workshops, keynotes and any kind of presentation the event has to offer. Focus on connections and places where investors may be. Some events, like Web Summit, offer special tickets for investor area or special meet-ups with mentors and venture fund representatives. Tech events gather thousands of people. Finding the right person in such a crowd is impossible. But you can do better than just standing near your desk and exchange business cards. Make a short list of key investors and representatives that align with the goals of your startup. If you already have a prototype you can even look for journalists that may cover your product. Make a walk around the site looking for such people, or if you followed our first tip, schedule the meeting in advance. Figure out which events your target audience is already going to, or which one your product will fit the best. This is where our list of top events for entrepreneurs comes in handy. How to Convince Your Boss to Send You to a Conference? Not all conferences are made the same. Here’s a Killer Emails Sample to convince your boss to send you to that event you keep seeing the hype about on this list. The main activity is Startup battlefield during which startup owners give a short interview to notable leaders of the business world. TechCrunch gathers the best entrepreneurs, investors, hackers, and tech fans for on-stage interviews. 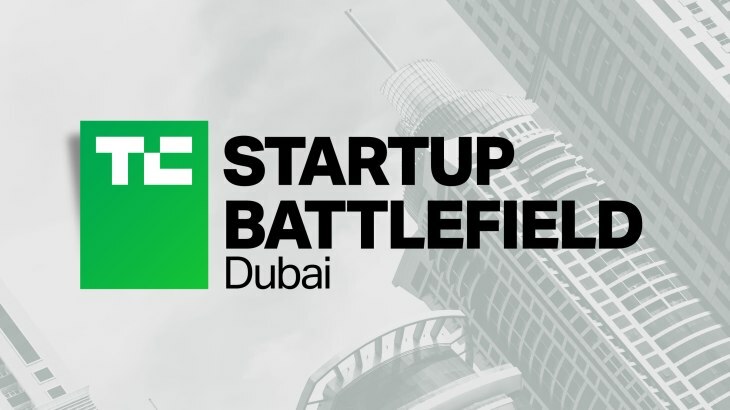 The best startup is can take a money prize by winning the Startup Battlefield competition. AdExchanger’s Industry Preview New York, NY 1/23/19 2 days focused on what to expect in the next 12 months in marketing technology. SaaStr Annual 2019 San Francisco, CA 1/28/19 The Annual is the largest non-vendor confab in the world, uniting the global SaaS community both online and off. The conference is organized by the biggest global startup community in collaboration with Google. Startup Grind actually takes place each month in a different city around the globe. The conference gathers experts, investors, successful CEOs and innovators to collaborate and share their experience. Thanks to its multi-locational approach you don’t need to get out of your country to attend the event. Moreover, you’re more likely to find an investor by attending Startup Grind in your own country, because it gathers local investors who are more willing to support local startups. The key event will take place in Silicon Valley. But you should also take note of events in Barcelona (October 25), London (June 13), Toronto (April 15), Oslo (January 30). Startup Grind Global Conference Silicon Valley 2/12/19 Startup Grind is the largest independent startup community, actively educating, inspiring, and connecting 400,000 founders in over 200 cities. SQLBits London, England 2/27/19 SQLBits is a data platform conference providing training and seminars from industry leaders based on real world experience. O’Reilly: Software Architecture Conference Ney York 2/23/20 Fast-paced and practical, the O’Reilly Software Architecture Conference provides the design, development, and deployment training that veteran and aspiring software architects, engineers, and senior developers need. Stay Connected with @OReillySACon. Gartner Data & Analytics Summit Sydney, Australia 2/18/19 At Gartner Data & Analytics Summit 2018, the event content will focus on a future based on data you can trust, analytics you can rely on and the insight you need to make game-changing business decisions. Developer Week SF Bay Area, CA 2/20/19 DeveloperWeek 2019 is the world’s largest developer expo and conference series with over 50 week-long events. Financial Planning and Analyst Innovation Summit San Diego, CA 2/06/19 Over 150 finance leaders will attend this flagship FP&A summit, to share the innovations that are driving the performance of their finance teams and forge lasting partnerships. Stay Connected with @GSMA #MWC19. 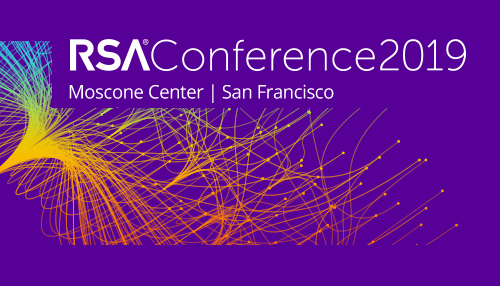 RSA Conference is the leading cybersecurity event across the globe. TOKEN2049 Hong Kong, China 3/13/19 TOKEN2049, the largest digital asset event in Asia, shines light on the global developments of this new asset class and takes a unique perspective on the token industry and its opportunities in Asia. ad:tech Sydney Sydney, Australia 3/13/19 The original industry authority for marketing and media technology, where marketing, technology and media communities assemble to share new ways of thinking. Startup Ole Salamanca, Spain 3/26/19 Startup Olé has become a benchmark event for the international tech-entrepreneurial ecosystem, and its fourth edition is expected to be the biggest and most impactful ever. A place where meaningful connections will be made with ALL the key players at European and international level. EmTech Digital San Francisco, CA 3/25/19 EmTech Digital is a conference that covers everything about artificial intelligence and int interaction with people. Gartner Application Architecture, Development & Integration Summit Mumbai, India 3/11/19 One of the largest cybersecurity conferences in the world, attendees discover the latest technology and interact with top security leaders and pioneers. Strata Data Conference: California San Jose, CA 3/25/19 A 4-day immersion in the most challenging problems, intriguing use cases, and enticing opportunities in data today. ad:tech New Delhi New Delhi, India 3/14/19 India’s #1 marketing and media technology event, where marketing, technology and media communities come together to share new ways of thinking. South by Southwest (SXSW) Austin, TX 3/8/19 Celebrating the convergence of the interactive, film, and music industries. The IoT TechExpo Global is the largest Internet of Things conference in the world. It will be held in London bringing together key players to explore the latest innovations within the IoT and to cover the impact it has on many industries including but not limiting to manufacturing, supply chain, transportation, insurance. Techfest NW Portland, OR 4/04/19 TechFestNW is a two-day conference where a collection of esteemed speakers discuss relevant, interesting topics about today’s tech landscape. BE Midmarket CIO Forum Louisville 4/07/19 BE Midmarket CIO Forum is an engaging, informative, and social venue for IT Solution Providers who are focused on technologies for the midmarket. Programmatic I/O San Francisco, CA 4/29/19 The world’s largest conference focusing on programmatic media and marketing. Google Cloud Next ’19 San Francisco, CA 4/09/19 An immersive event that brings together executives, developers, IT decision makers, and Google engineers to build the future of the cloud. Dublin Tech Summit Dublin, Ireland 4/10/19 DTS 2019 will bring together global leaders in innovation, technology and business to shape the future of global trends in technology. Seedstars Summit Lausanne, Switzerland 4/05/19 Connect with investors, government officials, corporate innovators and CEOs from Europe, Asia, LATAM, CEE and the MENA region. Internet of Things Summit San Francisco, CA 4/10/19 This summit will gather the world’s most dynamic practitioners working to create a more connected world. Recurring Revenue Conference Marina Del Rey, CA 4/30/19 Hear from entrepreneurs who have successfully built cloud-based solutions and learn from their best practices. Linux Storage Filesystem and MM Summit Cambridge, MA 4/30/19 The Linux Storage, Filesystem & Memory Management Summit gathers the foremost development and research experts and kernel subsystem maintainers. DIG Innovation Conference Charleston, SC 4/2/19 Where leading brands meet the smartest startups with a focus in technology, business, and marketing. GOTO Chicago Chicago, IL 4/28/19 GOTO Chicago 2018 highlights the technologies, methodologies and skills you need to know today to build systems of the future. Learn about new trends, connect with industry experts, share your passion, and grow your skills. PowerShell + DevOps Global Summit Bellevue, WA, USA 4/29/19 PowerShell + DevOps Global Summit is the gathering of PowerShell + DevOps professionals and enthusiasts. More than just a conference, it’s a true in-person gathering of a vibrant community – we learn from each other, we develop practices and standards, we share challenges and solutions, and we drive our industry forward. Red Hat Summit is dedicated to open-source projects and community that support them. It gathers an extremely professional engineering community that drives changes and super involved in the development of the edge-cutting project. If you’re looking for inspiration and new tools that can help drive your project further, this is the event you can’t miss. Here you’ll find dedication and fresh ideas from various top trending industries like AI, machine learning, and automation. F8 San Jose, CA 5/1/19 Facebook’s annual developer conference draws in some of the most talented minds in the space, resulting in fascinating lectures and valuable industry insight. Blending Service and Sales Motions San Diego, CA 5/6/19 Learn how technology companies are designing and delivering an experience that unlocks profits for both customers and suppliers. 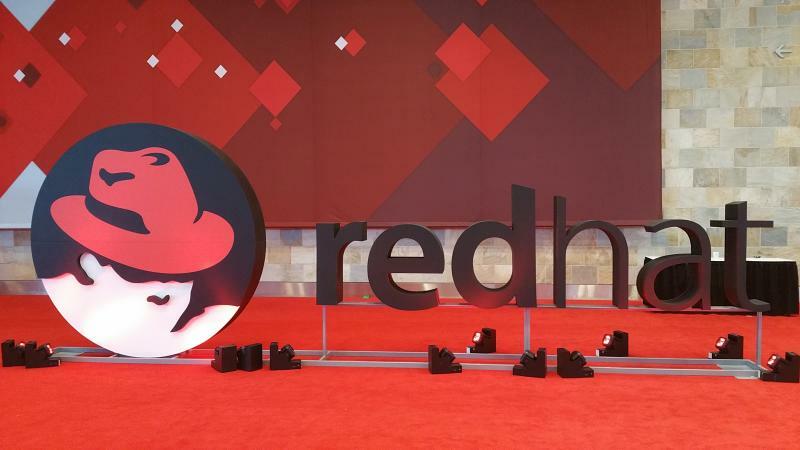 Red Hat Summit San Francisco, CA 5/9/19 Red Hat Summit is dedicated to those interested in open source – celebrating the individuals, builders, and explorers of the community. Evolve Technology Conference Las Vegas, NV 5/6/19 A two-day leadership & technology conference focusing on forward-thinking and cutting edge IT solutions. ONUG San Francisco, CA 5/7/19 ONUG is the leading user-driven community of IT business leaders focused on leveraging the power of their engineering and procurement to influence the pace and deployment of open cloud infrastructure solutions. TechDay NY New York, NY 5/2/19 With over 35,000 attendees including investors, startups, reporters, and early adopters, come meet the entire New York startup community. Women of The Channel West Palm Springs, CA 5/21/19 This one-of-a-kind, engaging conference offers female channel and IT executives an opportunity to advance their skills, network with peers and be inspired by the women making a significant impact on the IT channel and industry today. Gartner Digital Marketing Conference San Diego, CA 5/1/19 The Gartner Digital Marketing Conference provides the insights senior marketing leaders need to deliver results in a fast-paced environment. Future Festival: New York New York, NY 5/21/19 Get immersed in the most important trends, network with key innovators from your city and get the innovation insights you need to bring your team to the next level. Tangoe LIVE Orlando, FL 5/19/19 Join this event for three days of education, networking, training and entertainment with the singular goal of helping you optimize your organization’s IT infrastructure. PULSE 2019 San Francisco, CA 5/21/19 The definitive global networking and learning conference for the customer success industry. Strata Data Conference: London London, England 5/2/19 The largest gathering of the Apache Hadoop community, Strata Data Conference brings together leading big data practitioners and business strategy decision makers to develop new skills, share best practices, and lay a foundation for the future. J On the Beach Málaga, Spain 5/15/19 JOTB is an international rendezvous for developers and devOps around Big Data technologies. VivaTech Paris, France 5/24/18 France’s premier tech conference that brings together the biggest names in Paris’ growing startup industry. The Next Web Amsterdam, The Netherlads 5/10/19 Bringing together great content and great people in an incredible setting, The Next Web’s unrivalled feeling of intimacy guarantees amazing business learnings and an awesome time. Future of Fintech is an exclusive gathering of the world’s largest financial institutions, best fintech startups, and most active venture investors. It is the most populated and promising venture capital gathering on the East Coast of the U.S. and probably in the world, which offers great opportunities for entrepreneurs to raise money for their fintech startups. It is a pretty young but enormously popular conference that was raised out of an international community driven by women changemakers. The conference gathers professionals from Science, Technology, Engineering, Arts and Math (STEM) and celebrates the diversity and women accomplishments in STEM fields. MoneyConf Dublin, Ireland 6/10/19 Every year since 2015, the world’s leading bitcoin, cryptocurrency and fintech experts have gathered at MoneyConf. Over two days, 5,000 attendees from over 100 countries will network and learn from the industry’s leading lights. MoneyConf is organised by the team behind the world’s largest tech conference, Web Summit. Code Conference Scottsdale, AZ 6/10/19 This invitation-only conference brings together the most influential leaders for in-depth conversations about the future impact of digital technology. CEBIT RUSSIA Moscow, Russia 6/25/19 A trade show with a complementary conference program, CeBit creates the ideal setting for cross-industry knowledge transfer. O’Reilly: Velocity Conference San Jose, California 6/10/19 Attend Velocity to explore topics related to building and maintaining complex systems, site reliability engineering, infrastructure as code, chaos engineering, and more. Big Data: Toronto 2018 Toronto, Canada 6/12/19 With the rise of Deep Learning, AI, IoT, and Digital Transformation, this conference offers you the knowledge and tools to master the data universe. LiveWorx ’18 Boston, MA 6/10/19 LiveWorx is a global technology conference and marketplace for solutions engineered for a smart, connected world. Developer Week: New York New York, NY 6/17/19 Join 3,000+ developers, devops procs, and executives. Discover the latest in App Development, DevOps, Dev Management, and FinTech Dev. Identiverse 2018 Washington D.C. 6/25/19 Identity is transformational. Discover the critical engine that drives customer acquisition and retention, and supports your regulatory and security imperatives. 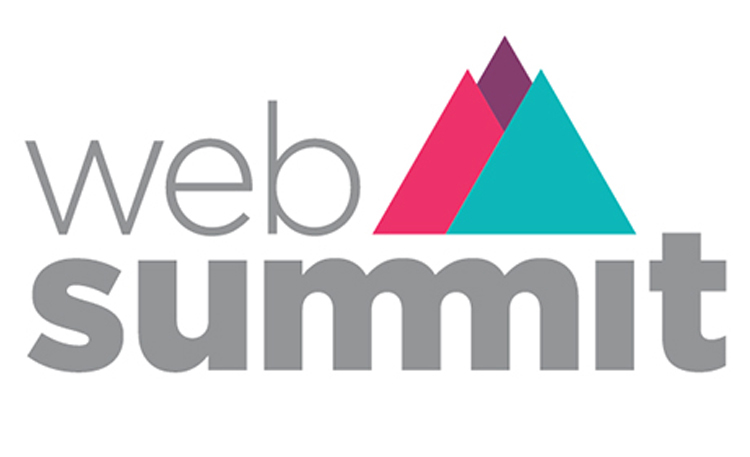 Another top technology conference made by Web Summit team but this time in Asia. Rise promises 20k+ attendees, senior management representatives and 300+ speakers from more than 100 countries. What’s good about it is that Rise Geathers Asian investors that are ready and willing to fund western startups. London, England 6/30/19 This conference will bring together leading experts for IT, OT, IoT, and Cyber Security to discuss the future role of security in the interconnected and smart world of IoT. Boston, USA 7/30/19 Web Science Conference will bring together researchers from multiple disciplines, including computer science, sociology, economics, information science, anthropology, and psychology. Future Festival: London London, England 7/5/19 This 1 Day Accelerated Program is a trends conference combined with an innovation conference. RISE Hong Kong, China 7/8/19 People from the world’s biggest companies and most exciting startups come to Hong Kong to share their stories and experiences at RISE Conference. Future Festival: Chicago Chicago, IL 7/18/19 A 1 Day Accelerated Program that brings Chicago innovators the best of our epic Future Festival – Trend Hunter’s multi-day trends, insight and innovation megaevent. Black Hat is the annual biggest security event in the world, that provides visitors with the latest technologies, researches and trends. Black Hat USA Las Vegas, NV 8/7/19 A highly technical information security conference that brings together thought leaders from all facets of the infosec world. Gartner Security and Risk Management Summit Sydney, Australia 8/19/19 The premier gathering of security, risk management and business continuity management leaders, this conference delivers the insight you need to guide your organization to a secure digital business future. VMworld US San Francisco 8/25/19 Four full days of innovation to accelerate your journey to a software-defined business. Internationale Funkausstellung Berlin, or as it called IFA, is one of the oldest annual exhibition and one of the world’s leading trade shows for consumer electronics and home appliances. Each year it presents latest products and, most importantly, IFA gathers European market representatives of top-tier consumer electronics manufacturers. This event offers you a unique opportunity to show your product and find some b2b connection that may allow to produce it on a large scale. INBOUND Boston, MA 9/3/19 INBOUND’s purpose is to provide the inspiration, education, and connections you need to transform your business. Artificial Intelligence Conference: San Francisco San Hose 9/9/19 Leaders and innovators will explore the most promising applied machine learning and artificial intelligence topics, including AI for structured business data, deep learning models, NLP, chatbots, and more. Refresh 2018 Tallinn, Estonia 9/7/19 Refresh is a product, design, and front-end conference providing fresh inspiration for creating better product experiences on the web. Strata Data Conference: New York New York, NY 9/23/19 Strata Data Conferences bring together some of the world’s smartest data scientists and business strategists to share new skills, share best practices, and lay a foundation for the future. Bluetooth World Santa Clara, CA 9/18/19 Bluetooth World 2018 brings innovators, futurists and decision-makers together to inspire, educate and validate the market. SaaStock is all about SaaS b2b projects. Over 3 days the event ties up 3000+ attendees from 50 countries. It boasts over 200+ VC funds which promise you a great opportunity to pitch you SaaS project to top professional from this field. It brings SaaS founders, executives and investors and decision makers in one intimate setting. Network, demo and make deals. Just some of the reasons you’ll leave SaaStock having turned your SaaS up to eleven. The GeekWire Summit Orlando, FL 10/7/19 The GeekWire Summit 2019 will feature top tech, business and government leaders, discussing the future in science, technology and business. SaaStock Dublin, IE 10/14/19 The conference is organized for the reason of promoting SaaS B2B projects and of bringing founders, executives and investors together. Caribbean Developers Conference Punta Cana, Dominican Republic 10/4/20 The conference is aimed at gathering software professionals and entrepreneurs together across languages, platforms, and industries. World Summit AI Amsterdam, Netherlands 10/9/19 The world’s biggest artificial intelligence summit gathers the global AI ecosystem of Enterprise, BigTech, Startups, Investors and Science, the brightest speakers every October in Amsterdam. .NET DeveloperDays Warsaw, Poland 10/23/19 This biggest IT event in Central Europe is meant for architects, developers and QA engineers working with .NET platform. Mobile World Congress Americas Los Angeles, CA 10/22/19 Nearly one thousand companies are going to showcase the latest technologies and services while leaders, innovators and business professionals will come together to explore the era of Intelligent Connectivity. Open Data Science Conference West San Francisco, CA 10/29/19 Speakers of this largest applied data science conferences in the world will talk about their contribution to many open source tools, libraries, and languages. The three-day summit is focused on covering topics ranging from deep tech and data science to design and environmental sustainability. Microsoft Ignite Orlando, FL 11/4/19 Microsoft Ignite covers all kind of visitors, regardless of whether they want to learn something new about Microsoft products on the intermediate or advanced level. Mobile Growth Summit Asia Hong Kong, China 11/8/19 This is a non-vendor conference which will help you to connect with and learn from Mobile Growth and Brand Marketing professionals. Open Data Science Conference London, England 11/19/19 The speakers of this conference, who have contributed to many open source tools, libraries, and languages, will accelerate visitor’s science knowledge, training, and network. The summit will cover everything connected to the era of OTT and advanced comms, providing visitors with the latest reports focused around Voice and Advanced Communications. RF – 521st International Conference on Science, Engineering & Technology Dubai, Abab Emirates 11/1/19 The conference is aimed at providing the platform for students, engineers, scientists, researchers and academicians to share the knowledge and ideas in the recent trends in the field of Science, Engineering & Technology. WebSummit (SaaS Monster) Lisbon, Portugal 11/4/19 WebSummit features the industry leaders in cloud computing, big data, marketing, security, customer service, and enterprise technology, visitors will have access to sessions, roundtables and workshops. This conference brings together the most influential women in technology, such as female founders and other like-minded influentials in the industry. The summit is aimed at making the world a better place with the help of technology. Prague, Czech Republic 12/2/19 The aim of this conference is to empower visitors to professional success by providing educational resources and encouraging collaborations. Tech For Good Summit London, UK 12/5/19 Learn how to make a world a better play with science and technology after visiting Tech for Good Summit. Financial Services CIO Executive Leadership Summit New York, NY 12/5/20 This summit is aimed at providing many opportunities for its visitors and speakers through both learning and discussion and giving useful information that can be transformed into an action plan. 12/10/19 The Gartner IAM Summit will help its attendees to get a comprehensive view of today’s Identity and Access Management journey toward effective workplace. Check this list. Pick up events that align with the goals of your startup. Prepare in advance. And don’t forget to invite us meeting you on the day of the event. Who knows, maybe we’ll attend it too! Need software consultation before pitch? Really nice. I would like to thank you for this conflist.